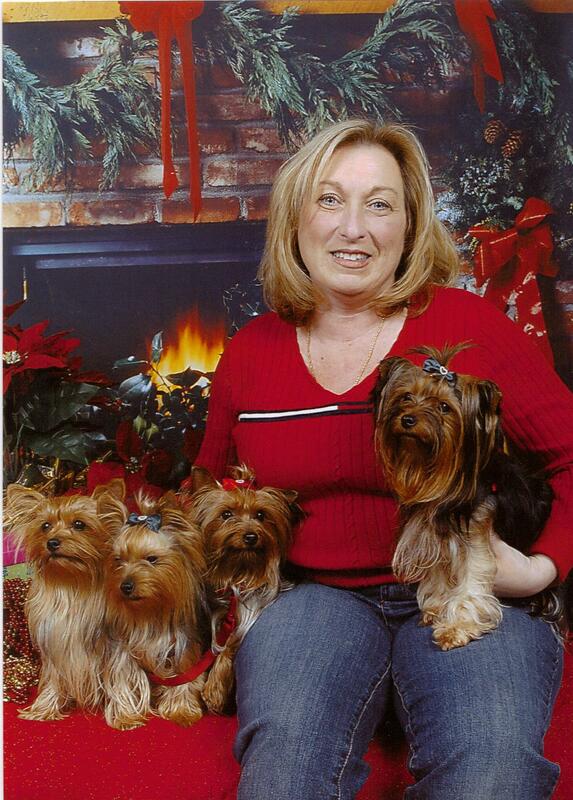 My Name is Jo Ann Hicks Smallwood and I am so glad you stopped by to see our beautiful Dogs and Puppies! We are located in the Great Lakes State of Michigan. We are a home hobby breeder. We do not kennel our dogs; they are raised right in our home as part of our family. We do crate train them, so that they have their own quiet place to rest. Breeding is our passion ! Our Puppies are born right here at home and we attend to Mom for each birth. All mom's have X-Rays before birth to ensure the mom have no complications. Puppies will come pre-spoiled and socialized. Our human family is part of our dog's lives from the day they come into the world until the day they move into their new home with you. We are proud that they are socialized and loved. We start potty training with pee pads when they are about 5 weeks old. Here at Jo Ann's Yorkies we provide AKC registered, quality, home raised puppies. When they go home with you they will be pre-spoiled, socialized, healthy, vaccinated, vet checked, and dewormed. We also send them home with a blanket that has the scent of their mom on it. Quality isn't expensive, it's priceless! We would like to thank you for stopping by and checking us out. Stop back to see upcoming litters and some of our previous ones.